There's a lot of things that make me happy especially coffee, Fridays, and figuring out how to create a whole new look with one of my favorite closet staples. Back in March I shared a new brand I discovered called Endless Summer; they're totally west coast casual vibes + so so chic. And their slip dresses fit really well on us petite gals because the designer is also a petite babe. If you follow me on IG then you know I've been wearing Endless Summer ALL summer long and recently decided to add a white tee into the mix to create a skirt/top situation. Not sure why I didn't think of this sooner! 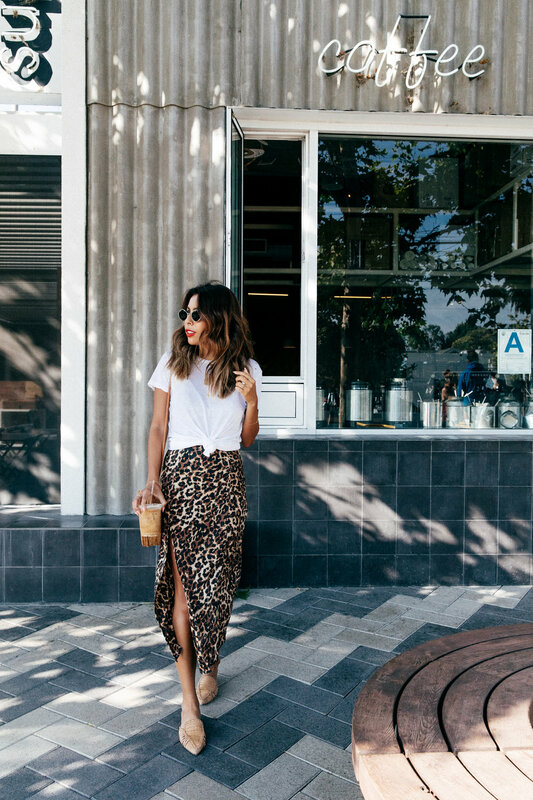 How to style a white tee shirt with slip dress. 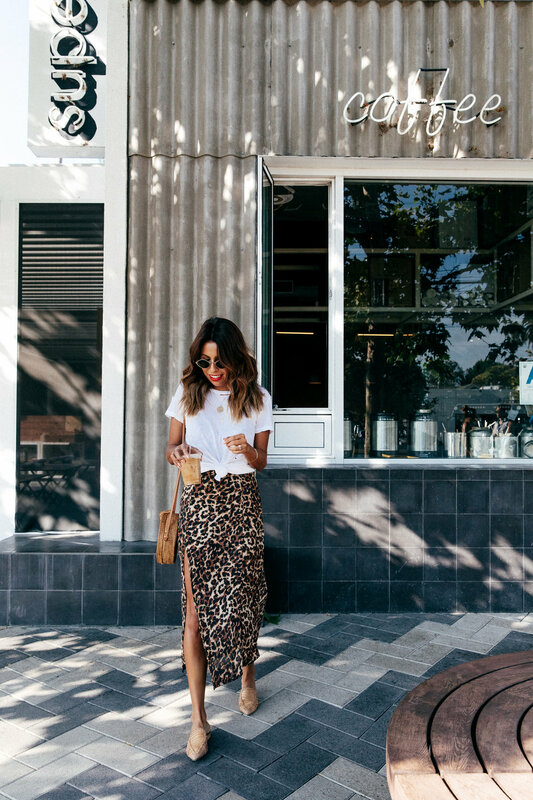 Endless Summer Leopard Dress. What to do in Ojai for the weekend: jeep tour, wine tasting, olive oil farms, and more! “I grew out of my original timeline and deliberately chose not to make a new one.” Keep reading to for a REAL post on TRASHING THE TIMELINE and LIVING FOR YOU!